Roberto Orci, the producer of Sleepy gave teasers for its second season. 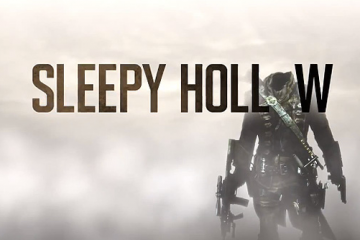 It will be a war coming to Sleepy Hallow and viewers should brace themselves and keep their heads on. Fox’s amusingly cranky supernatural drama is planning a second season that’ll be bigger consisting of 18 episodes compared to the 13 episode last year. The second season is set to be meaner, and most definitely more frightening. Executive producer Roberto Orci said about some of the beasts who’ll be spooking Ichabod and Abbie this year. This includes an all buffed Moloch, a sinister take on the Pied Piper, and a mysterious being known as the Kindred. There were as well some blazing questions about the season generally, that of course includes Crane and Mills probably “romantic” status. Orci added that the second season will not lose the best humor coming out of being scared.The first season ended with everyone in danger. Ichabod is buried alive, Abbie is stuck in purgatory, Jenny might be dead. The second season would actually come in right there. Expectations for the show this season according to Orci would look in a way you can never anticipate that something’s going to be well-received. “Well, now that the microscope is on us, we have to do things we’ve never tried before.” He quoted, “The team would want to do things you’ve never seen, but also have to flow holistically from what they were doing.” Orci said that they’ll have to pick up where they have left. Orci and the team have got to think about the dynamics and make sure it flows perfectly on which direction they have anticipated before; to make room and expand certain things. Example is Abbie and Crane for switched places. This year, Abbie has spirited to get ahead of evil. Abbie and Jenny on season two will be a little bit united. They’re still going to go through their ups and downs, but now sharing the same goals. Troubled with their mothers and all these questions on how they both ended up on the circumstance. Irving, for the moment, is continuing to want to protect his daughter, and part of that is plausibly being tempted by Henry Parrish. The Headless Horseman was a man who was in love with Katrina, and his pursuit to win her back continues on in season two. Abbie and Crane will also have a new weapon to fight Headless in the Kindred, according to Orci. Sleepy hallow fans should wait also for the new character, Nick Hawley the bounty hunter. He is an antiquities dealer whom might remind you of Indiana Jones, if you’re a fan. He’s a little bit more of a selfish one for material possessions. He’s not a particularly superstitious person. When he encounters Abbie and Crane, he starts to understand the things he doesn’t believe into. He becomes sort of a curiosity for Abbie, and potentially an annoyance for Crane. The most awaited part is the appearance of Ben Franklin. Some of his inventions, discoveries, which we read about in history will be necessary for rescuing Abbie, and if Crane is ever going to reunite with Katrina. Sleepy Hollow returns Monday, Sept. 22 on Fox.